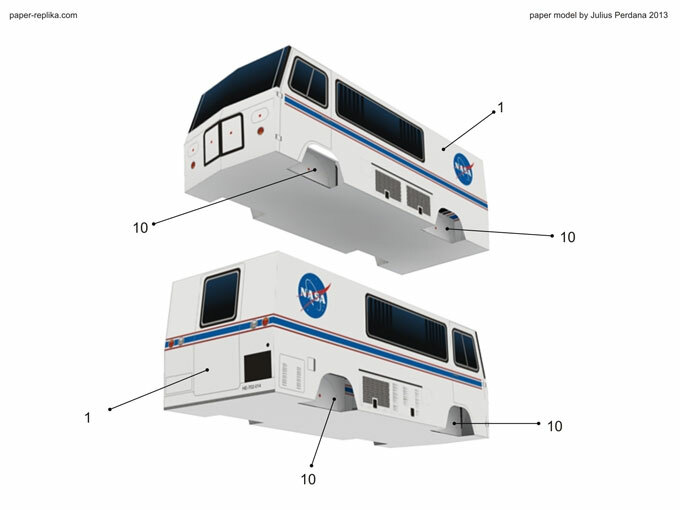 NASA Astronaut Van Paper Model	. Before you assembly the van main part (1) you have to place both part 10 first, unless you will have difficulty on attach them later. 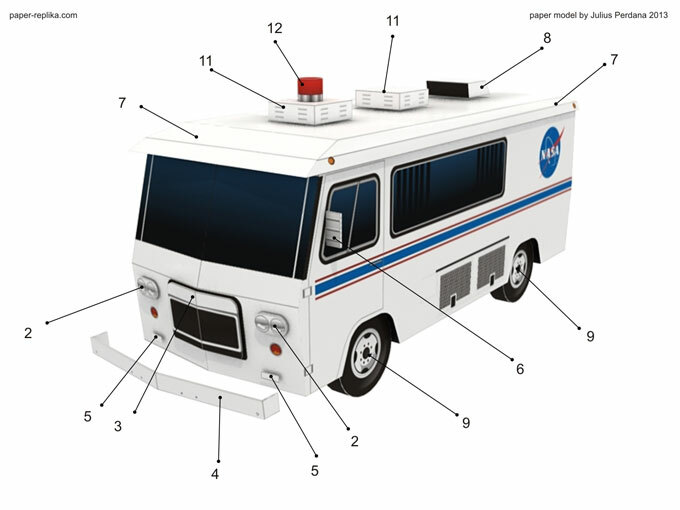 Close the van with its roof (part 7) and then add details on top of it (part 11,12 and 8). Fold part 5 until shaped like the image above, place them there then put the bumper on top of it. Fold side mirror in half (part 6) then attach it on both sides. 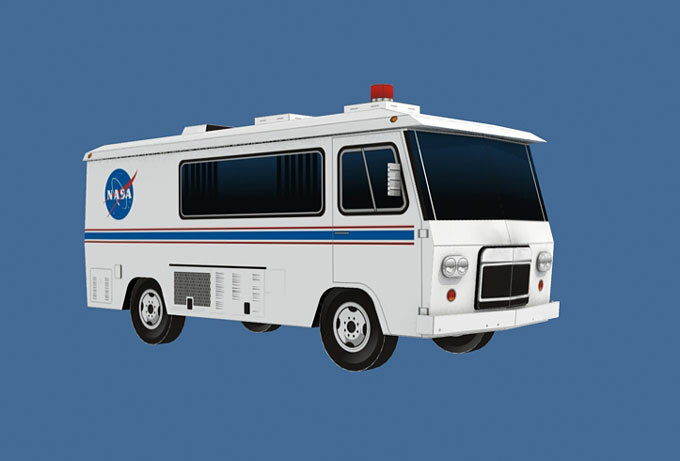 Finally complete the van by attaching the wheels.